Everyone in Florida needs some form of insurance. Generally, individuals need a number of forms. However, perhaps tougher than deciding which forms of insurance you need is deciding from all the Florida insurance companies available out there. If you’re switching carriers or picking one for the first time, you certainly have a number of options available to you. Fortunately, the following tips will go a long way toward helping you make a smart decision. It’s always wise to get all of your insurance through one carrier. There are always exceptions, of course, but the benefits are tough to beat. For one thing, you’ll have one number to call and often one agent you need to deal with (or at least one point of contact). That will be a welcomed advantage if/when something goes wrong. However, most carriers will match that convenience with an equally helpful price. They know you’ll go elsewhere otherwise and that convenience doesn’t always trump cost. So you can save a lot too by purchasing your insurance in bundles. However, before you can do this, you need to think about what kind of coverage you need. If you drive, insurance is mandatory. So is coverage for your health. If you own real estate, property insurance might as well be required. There are a number of unique versions out there, though, that may be right for you too, so be sure to investigate all your options thoroughly. A good insurance agent will help you figure out exactly what you need, but you also must expect that they’ll push some choices on you too (like all salesmen). So doing your research upfront will help. Fortunately, if you live in Florida, you can find all your insurance options in one place. Simply visit the Florida Office of Insurance Regulations website for a list of all the carriers in the state. Just having this list is helpful because if you do normal web searches, generally your results will be dominated by the biggest companies with the most money. This won’t help much, though, if you can’t afford them or have unique needs smaller insurance companies can address. Plus, the Florida Office of Insurance Regulations is a good place to look up information about the track record of any particular company. Obviously, you want to know how they’ve handled other accounts and the FOIR is a great objective source for this information. 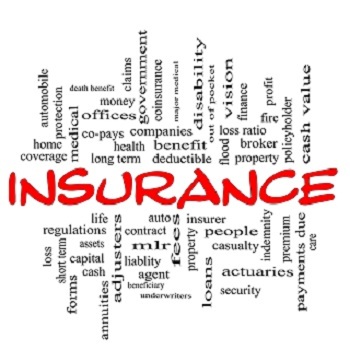 Like we just covered, there are a number of smaller insurance agencies out there. Some of them can meet unique needs better, especially if cost is a concern. They may not be right for you too, of course, but it’s worth a shot. When you need coverage, there are countless Florida insurance companies to choose from. However, this isn’t always a good thing. Consider the above criteria first before searching and you’ll end up with the agency that is best for you. How do I find cheap insurance in Florida? Who has the best insurance in Florida?